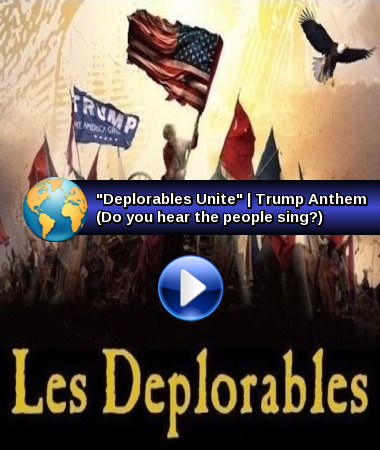 OWON: For all our Friends and allies in America, please play the video now of the, "Do you hear the people sing", recorded below. And for the so many nations screaming to be heard, we hear you. Trump NEEDS to open his debates with Hilderbeast with this and ask her, Can YOU hear them singing 'your out'? All nations need to blast this out at failing Governments. One people, we hear you. 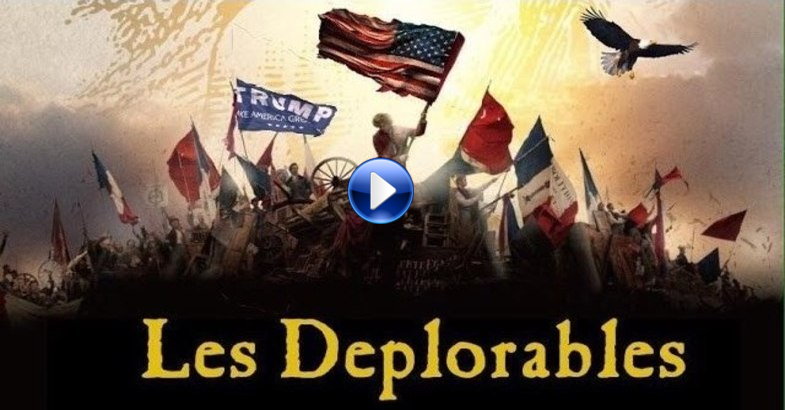 DEPLORABLES UNITE! Let us know when you find that bumper sticker. Please, let London culture wash over you listen to the rousing Musical song for the people, from Les Miserables. Our wish for Americans and all oppressed people. Remember the good American people are just as much victims of this vile Cabal, Jesuit and Zionist conspiracy. Sing out, when you hear the people song, it's coming to America! Vote Clinton and the Cabal out! Say- No More! No more wars, no more Clinton whores. Stop Bush whacking Americas peoples futures. Thanks John and team, wonderfully inspiring!!! Awe-inspiring music almost as if written for now! My true sadness for Americans is that you only have 2 such dysfunctional low lives to vote between. Trump lacks the intelligence and Clinton belongs on Death Row. America has far better, if only the nation had a box to tick to state neither are fit for my vote, a 90% rejection may help look for those fit for office. At least if Trump gets in there is a small chance he may fight the Cabal. One can but hope. This is a sad time for America.